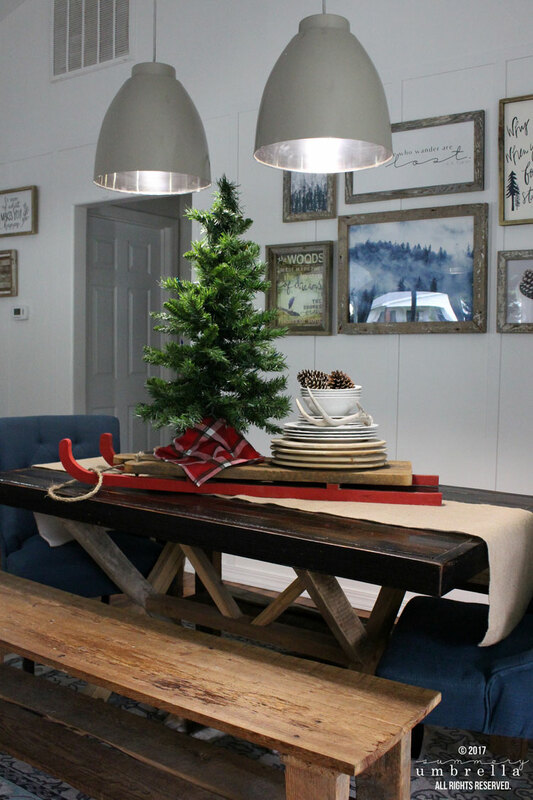 Take a peek into my rustic & sled inspired Christmas Home Tour. 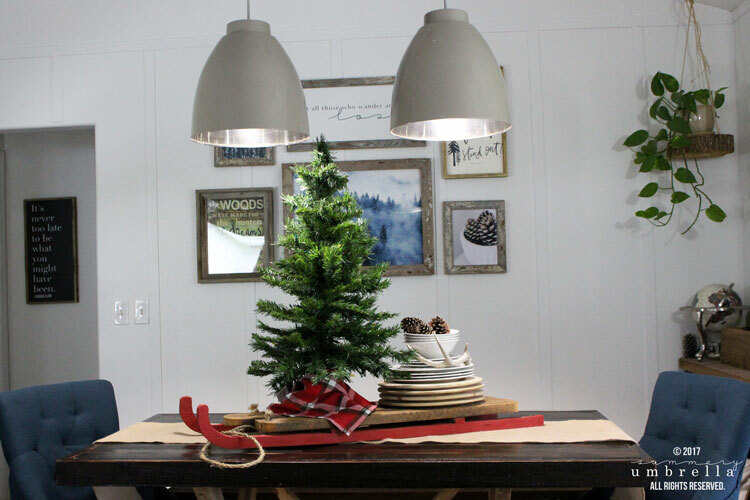 I’m so excited to show you a few simple ideas to use in your home this holiday season too! 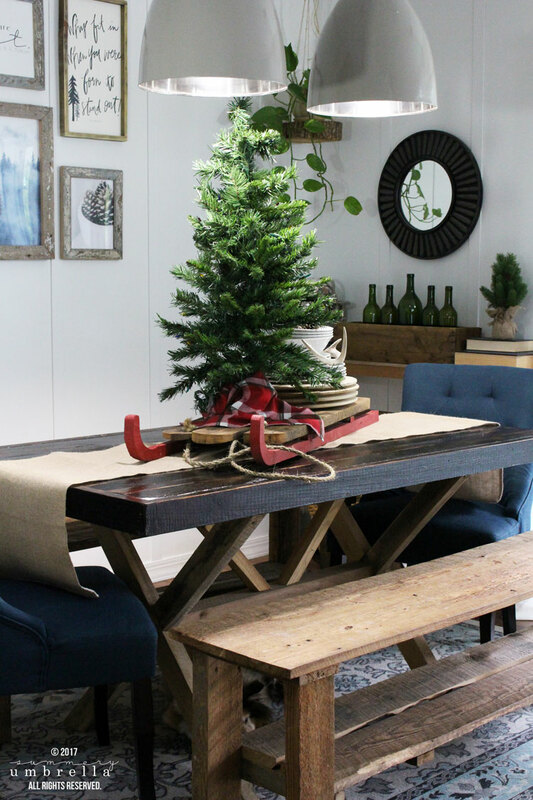 I am so excited to be apart of the ‘A Christmas Tour of Homes’ with a whole slew of my favorite blogger friends this holiday season! 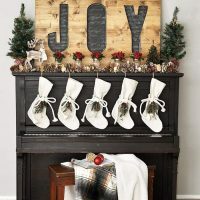 There are so many simply stunning and absolutely adorable Christmas Home Tours for this year that you most definitely need to stop by their pages (a list is at the end of this post) and show them some love. Trust me, you won’t want to miss out on any of these beauties! A few years back I absolutely had-to-have a vintage sled for my front porch. However, after searching for many days, weeks, and eventually months I soon realized that finding an affordable option did not exist. Well, let me take that back. During that timeframe it did not exist. Nowadays, who knows. I stopped searching, and decided to create my own! 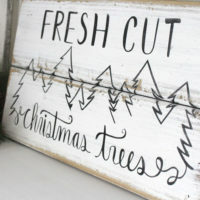 This little beauty is so easy to make, and each year I strive to use it in a new location. For instance, here are a few ideas that I’ve used, or one day plan to use! 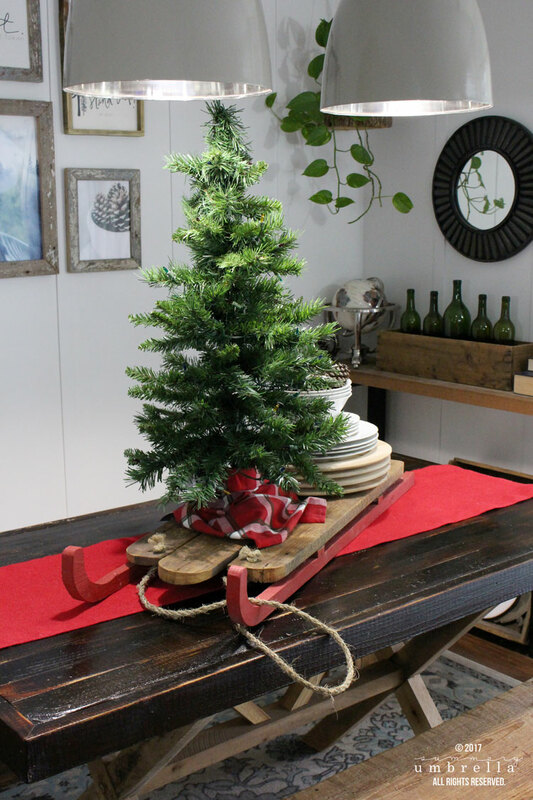 Psssttt… want to create your very own DIY vintage inspired sled with this tutorial! Super easy, and all I used was leftover wood from around the house. 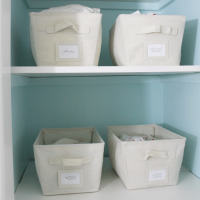 As you probably already know, I typically go for a simple and clean look with my decorating. I’m very “evergreen”. As in, I like to select wall colors, furniture, and other pieces based on their ability to look great throughout the season. With that being said, this particular holiday decor style could just as easily be dressed up if you need a little more… impact! For example, these gorgeous burlap table runners come in three different colors (cream, natural, and red). In this post I am using the natural and red, but holy cow the cream is stunning too! 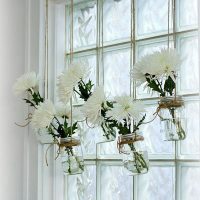 You can see an example of the cream in this centerpiece post. Are you ready to decorate? Inspired to get started? I hope you enjoyed my itty-bitty Christmas Home Tour, and have a wonderful time decorating your home. 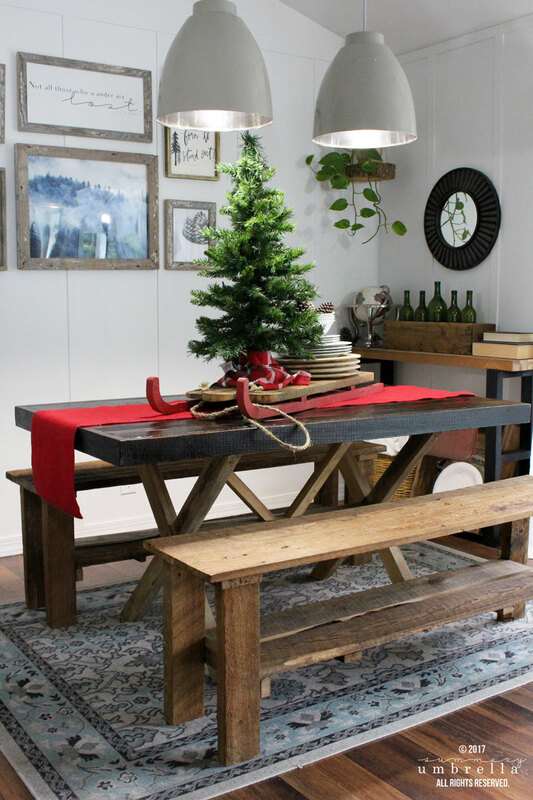 Don’t forget to check out all of these AMAZING homes for this Christmas Tour of Homes. I’ll see you again next week! 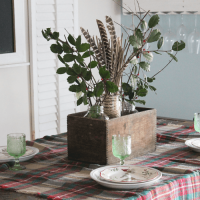 Your dining room is so festive and fun. I would have never thought to make the sled but your motivation to find one is a bonus for us! Love it all and thanks for sharing. I’m excited to be on the tour with you. Sleds, checks and Christmas Trees the absolute best! 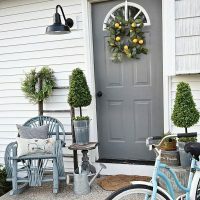 Lovely décor and home! Your home looks beautiful! I also thought about using a sled for a centerpiece but I could not find one the size that I need. I diy everything but I had not thought that I could make one. Thank you for the tutorial because I will be visiting that post. Thank you so much for joining us for our first Christmas Tour of Homes! I love that sled you made, I have so much scrap wood, and I may give this a try. Everything looks beautiful and you gave some fantastic tips throughout. Thanks so much for joining us this year for the Christmas tour of homes! Very pretty! I really like your pendant lights and the gallery wall. What a great idea! I am now going to hunt for a sleigh! Thanks for the sneak peek into your lovely home. That DIY sled is such a great idea. I really love how you used it on your table and may just need to ‘borrow’ that idea. Thanks so much for joining Christmas house tour. 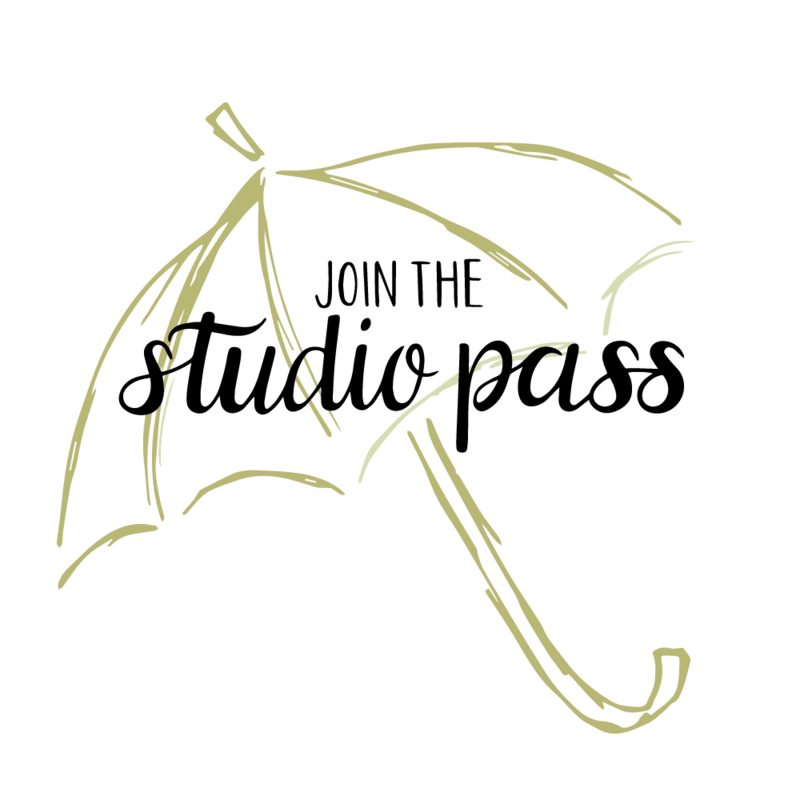 It was such a success, thanks in large part to lovely blogs light yours. That sled is too cute! I would never have thought to use one as a centerpiece. All of the vintage sleds I’ve seen are much bigger, but I love the idea of DIYing a smaller one. You’re dining room looks beautiful. 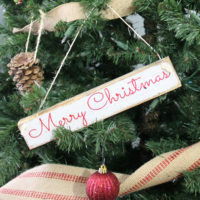 Hope you have a wonderful Christmas! LZ, I love the sled you made. Very ingenious! And I really like the simplicity of your dining room. It’s been great meeting you and a big thank you for joining us for the Christmas Tour of Homes! Thank you for sharing your home as part of this blog hop! 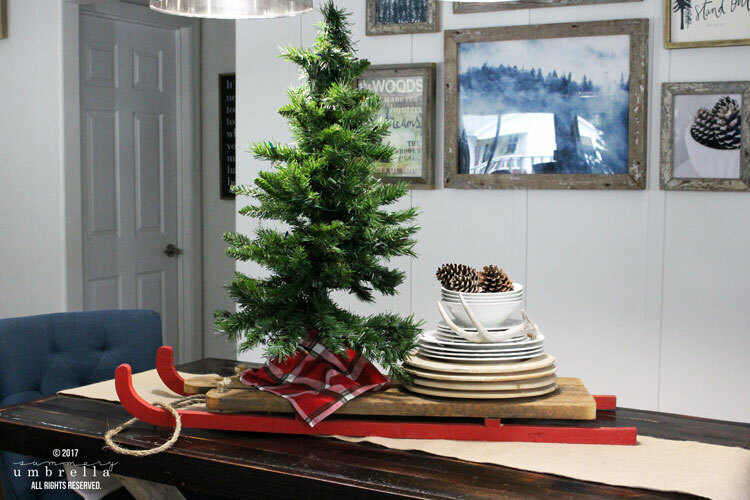 I love the way you incorporated a sled into the centerpiece of your table. Hope you have a nice holiday! LZ, love the sled as a centerpiece. We have a vintage sled, too, but I’ve never thought of using it in that way. Great idea. 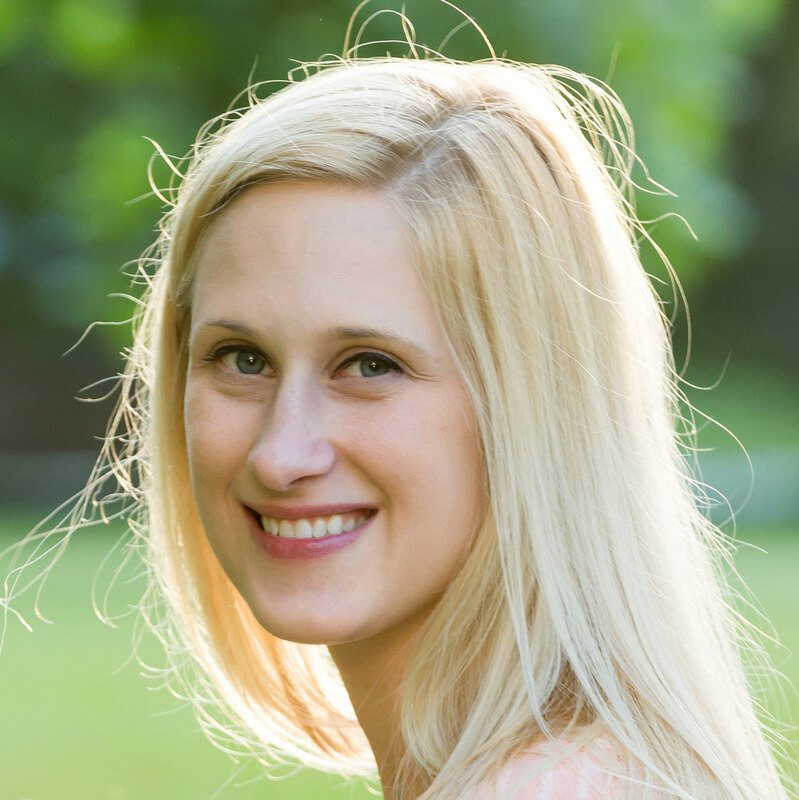 Happy to meet you on the blog hop. Linda – that sled is so cute! I love how you styled it! Loved being on this tour with you – merriest of Christmases to you! Such a beautiful home tour! I’m in love with the sled it is so pretty! Your table runners are lovely too! I will have to look over your tutorial.